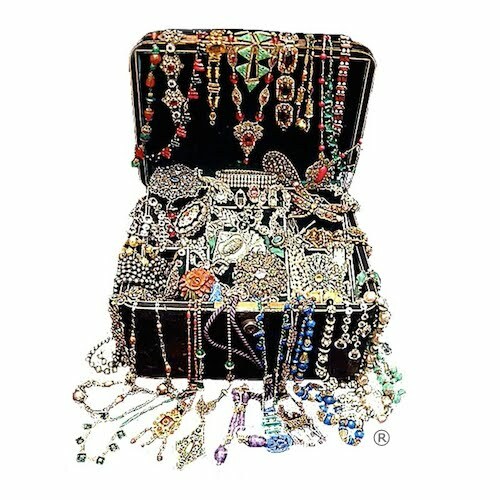 Vintage Jewel Box: Flapper fabulous! I love the Flapper era of the 1920's... just everything about it....the clothes, shoes and jewellery are an instant thing but I also really like the art from the period, especially graphic art like advertising posters and packaging. Does anyone know if you can do that? NB : The deco brooch pictured is also featured in the treasury and is for sale by etsy seller eakerhouse. I've wondered the same thing! I love that idea..Thank you for sharing Carol!Lovely blog!